These modular construction system delivers all components which are necessary for the internal energy measuring of an laser. Basis for this is the motherboard that offers a switchable preamplifier and a peak detector. 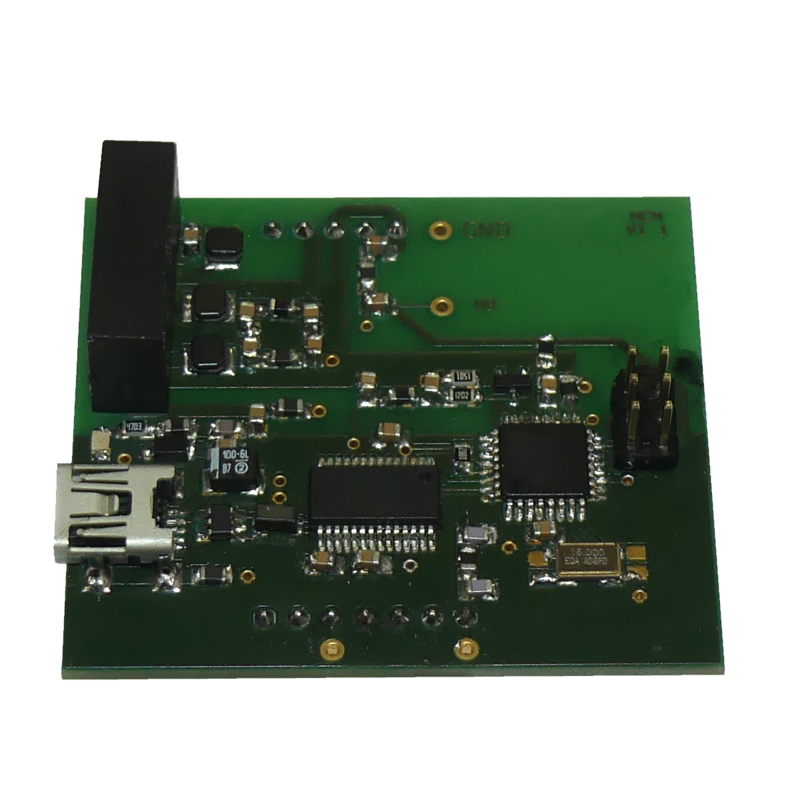 It offers an analogue- and an trigger output.​ To proceeding more evaluation a large amount of interface modules are available and can be adept according to the user. 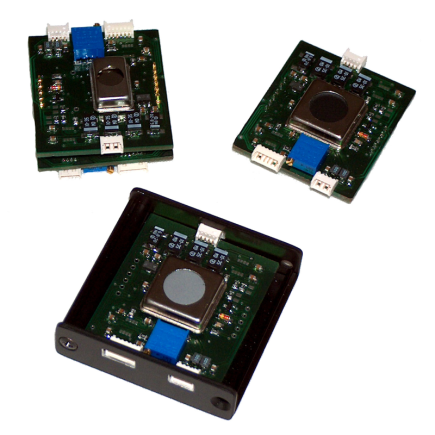 The connectors of these modules are standardized and can simply be put under the mother board. 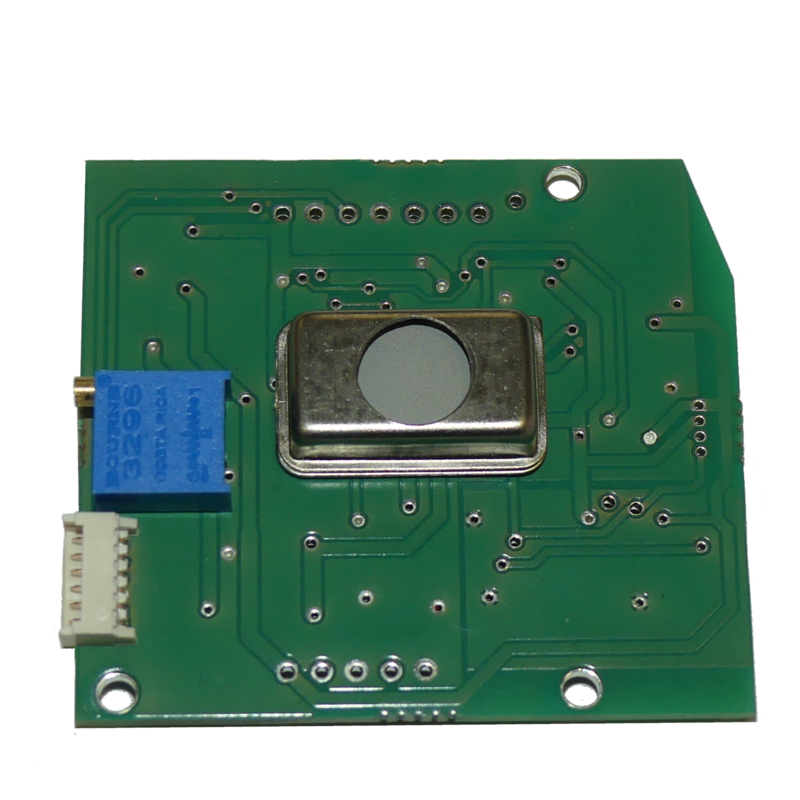 The motherboard offers slots for series PEO detectors. When using detectors with integrated preamplifier you still have the option to assambling detector and evaluation seperated. For this purpose the motherboard offers a slot to connecting the detector. ​The MCM modul connects the EMK 100 with an USB Port (Mini-USB connector). Over this port the module supplies the power for it self and the EMK 100 too. Also it takes control of the preamplifier. A simply ASCII protocol is used for the communication between PC and MCM. The maximum pulse repetition rate is about 1 kHz.